The Bohemyth is an online literary journal publishing Short Fiction + Poetry + Photography + Essays on a monthly basis. Find us on Facebook + Twitter. Editor – Michael Naghten Shanks (b. 1987) is a writer and editor from Dublin, Ireland. His writing has featured or is forthcoming in various publications and anthologies, including Bare Hands Poetry, The South Circular, wordlegs, Five[Quarterly], The Squawk Back, Noncanon Press, theNewerYork, Cadaverine, Bare Fiction, Ink Sweat & Tears, Burning Bush 2, The Honest Ulsterman, 30 under 30 (Doire Press), and New Planet Cabaret (New Island). He has been listed for prizes including the Fish Short Story Prize 2013 and the 2013 Over The Edge New Writer of the Year. He has read at events including the Shore Writers’ Festival, the 10 Days in Dublin festival, the Monday Echo, and at the London Irish Centre as part of a Young Irish Writers Showcase. He tweets @MichaelNShanks. For more information, visit michaelnaghtenshanks.tumblr.com. Assistant Editor – Clodagh O’Brien writes short stories, flash fiction and poetry. Her work has been published, online and in print, in various publications including The Poetry Bus, wordlegs, Bare Hands Poetry, 1000 words, the firstcut, The Galway Review along with a number of short story anthologies. Work is forthcoming in a US short story anthology published by Old67 Press and children’s literature journalThe Looking Glass. Earlier this year she was longlisted for the Doire Press 2nd Annual International Chapbook Competition, and in 2012 made the longlist of the Over the Edge New Writer of the Year. Last year an excerpt of her first novel (currently in the process of a much needed rewrite) was narrated on the RTÉ radio arts show Arena. She regularly reads in Dublin and beyond whenever she is let. In 2002 she won the Daily Telegraph Young Science Writer of the Year Award. You can read her work at www.clodaghobrien.com and tweets @wordcurio. Founder and former editor of The Bohemyth – Alice Walsh lives and works in Dublin. She stepped down as editor of The Bohemyth in October 2013 to concentrate on her own writing. 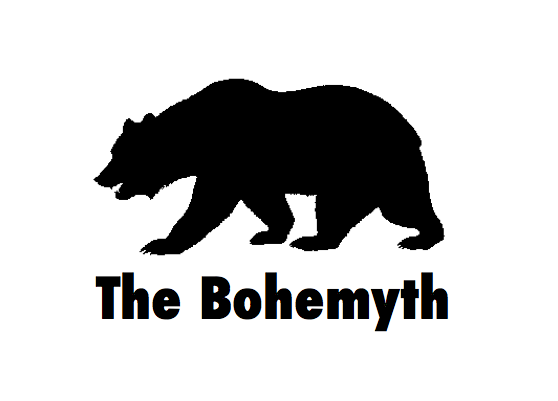 The Bohemyth is OPEN for submissions. Each new issue is published on the 7th of the month. To be considered for publication your submission must arrive between the 1st – 23rd of the previous month. We will respond to your submission as soon as we can. The longer it takes us to respond, the more strongly we are considering your submission. Occasionally we will give feedback to unsuccessful submitters. Short Fiction – we want contemporary, literary short stories and flash fiction. We want ideas that affect, engage, move, and entertain. We want writing that is beautiful, poetic, thought-provoking, original, and inspiring. We want images that linger in our minds. We want to be seduced and savaged. We want sentences that ping. A max. of 2,000 words. A max. of 2 fiction submissions. Poetry – we want contemporary poetry that communicates. We want the passionate, the personal, and the particular. We want lines we cannot forget. We want poems that don’t know they’re poems. We want to be surprised. A max. of 6 poems. Essays – we want personal essays. We want specific questions that spiral out into universal answers, and vice versa. We want to see your mind at work. We are more interested in seeing how you are saying it than what you are saying. A max. of 2,000 words. A max. of 2 essays. Photography – we want your definition of beauty. We want clean images. We want to see something we may never forget. A max. of 6 photographs. Send your submission, in the email AND as an attachment (preferably .docx for words and jpegs for photography), to thebohemytheditor@gmail.com, with ‘Submission’, and whatever category you are submitting to, as the title of the email. Include a short bio in the 3rd person, along with any links to your website/blog/twitter/etc. All work must be the original work of the writer/photographer. Copyright remains with the artist.